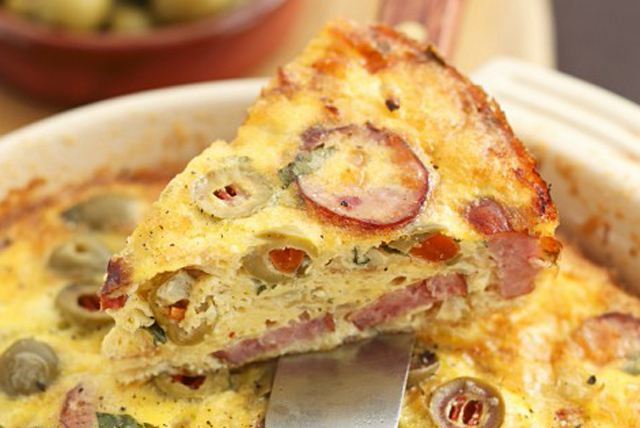 When time's tight, try this flavourful Frittata with Polish Sausage and Olives. Just 10 minutes of prep and the rest is bake time. Whisk cream cheese and milk in large bowl until blended. Add eggs, mustard and pepper; mix well. Stir in sausage, cheddar and olives. Pour into shallow 1.5-L casserole dish sprayed with cooking spray. Bake 40 to 45 min. or until knife inserted in centre comes out clean and top is golden brown. Pair with a crisp green salad tossed with Kraft Dressing to round out the meal.